He is the winner in the 2018 Contender Raffle! He’s a Life Member and he’s taking home a brand new Contender Boats 28 Tournament with twin 175 HP Yamaha Outboards and a custom AmeraTrail trailer. 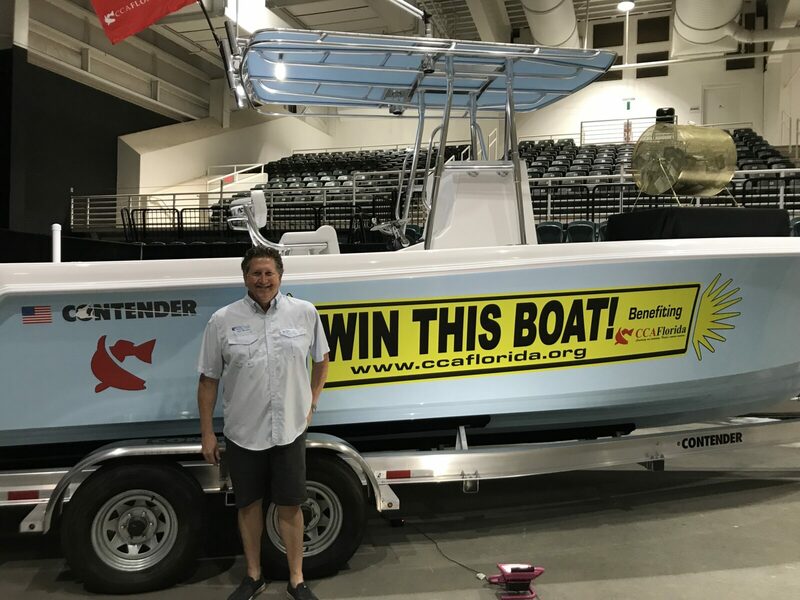 Thank you to our partners at Contender Boats for their continued dedication, which helped to raise over $170,000 to support conservation initiatives! Visit our Facebook page to see the ways these donations are making a difference in the conservation of our marine resources!